Wild boars are spread from the alpine zone to the Black sea shore, being very dense in areas covered with beech, oak or evergreen-oak forrests, but also in the plains, Danube's Delta and Danube's meadow, places also known as being ideal for organizing unforgettable hunting parties. 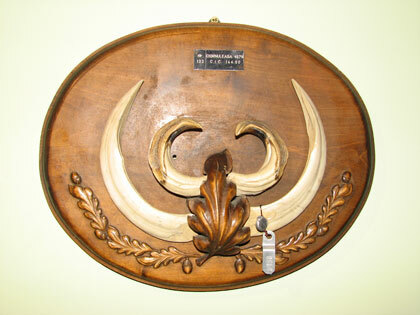 Remarkable trophies were recorded in all hunting areas. 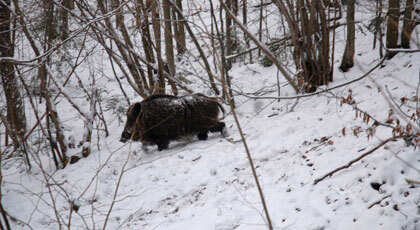 Usually boars over 150 kg are harvested, but in some cases there were harvested animals weighing 250 kg or more. The top trophy in Romania was homologated with 144,00 CIC points, while the top 10 trophies are over 137,00 CIC points. The legal hunting season is relatively long, starting with the 1st of August and ending on the 15th of February.